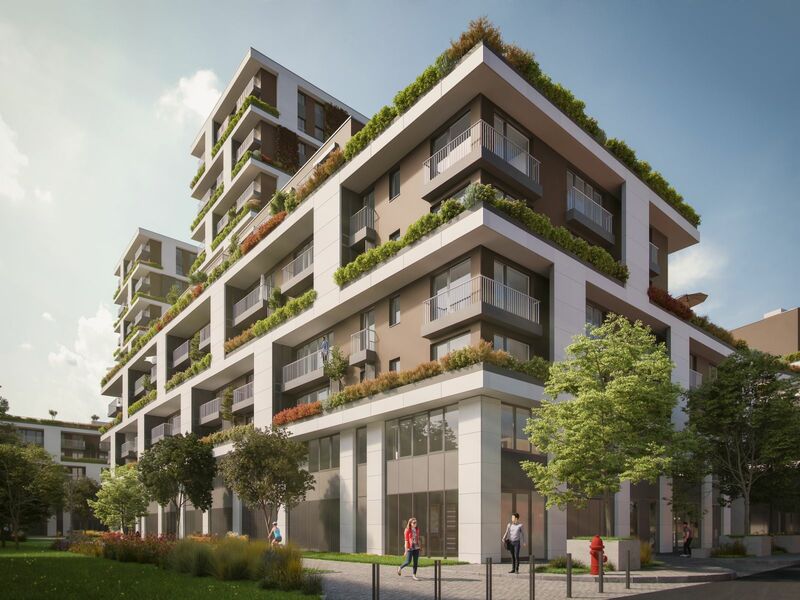 Metrodom’s Panoráma stands out from among average new-build residential complexes in many ways. Connected to Szent István tér, the recently reconstructed historic city center, Metrodom Panoráma forms a new local city center. Topping at 55 meters above street level and bounding the plaza, which is closed from car-traffic, the towers attract attention from afar. Besides the 632 apartment units, shops, restaurants and offices will also be constructed in this multi-functional city center. 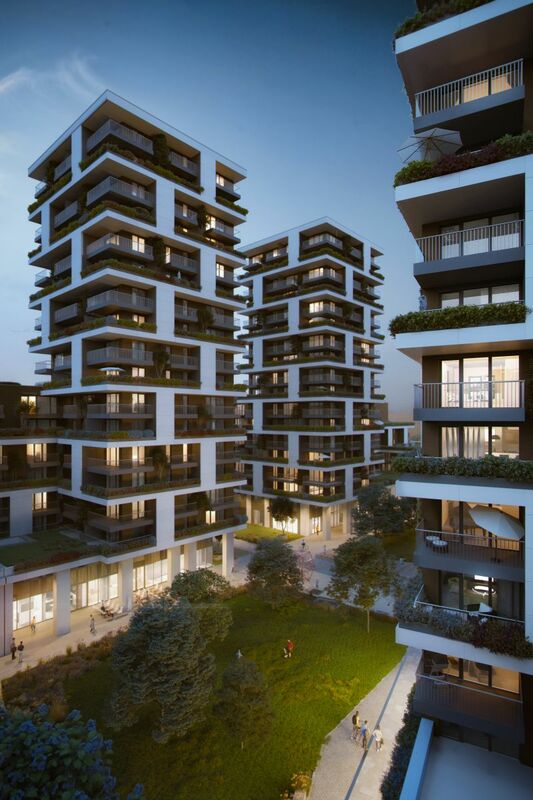 Only by looking at the pictures one can see that connecting modern high-rises to living nature in a visually appealing way, Metrodom Panoráma is one of the most unique residential complexes not only of Újpest but also the whole of Budapest. The view of the city and the Danube is just breathtaking from the 17-story towers, and this is only half of the treats. The 170 trees planted on balconies on the facades and the vines creeping up the walls make Metrodom Panoráma so appealing that it determines the cityscape of Újpest. Besides the impressive outside looks, Metrodom Panoráma offers many other treats to the residents. The plaza is the place of leisure, social life and, thanks to the multi-generation playground, also a place of recreation for both children and their parents. The largest of the retail shops encircling the plaza will be a grocery store, however, a gym, a restaurant, a confectionery, a café and other retail establishments will also be available for the residents. 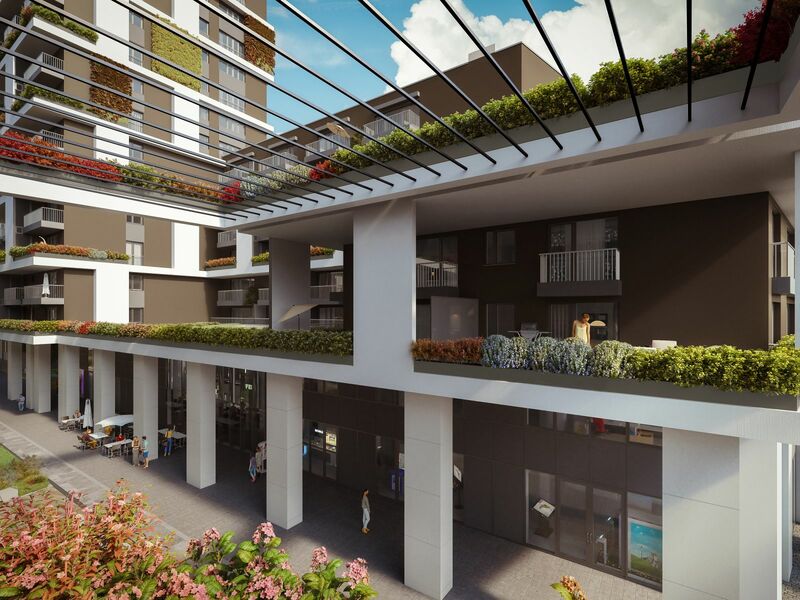 The buildings will have elegant lobbies in which a concierge service can be operated according to the demands of the residents. Technical data, layout plans and prices of our apartments and storage areas are available on our apartment search page. 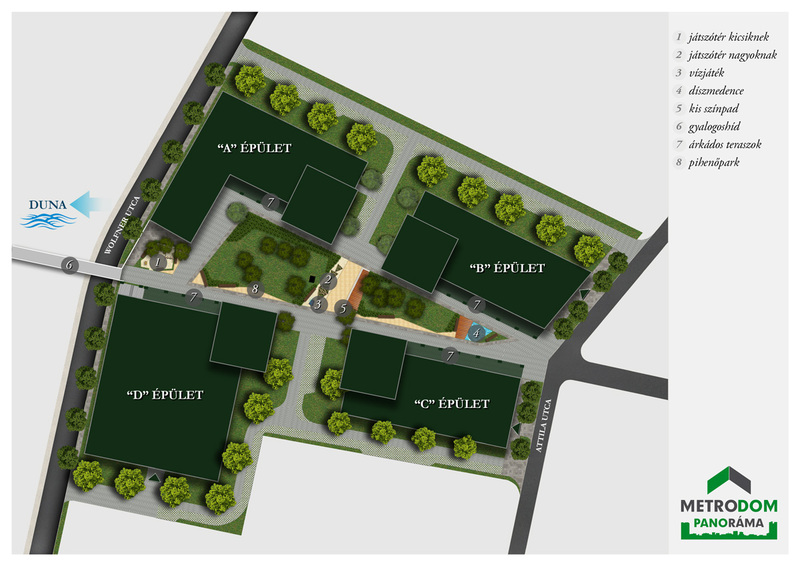 Parking slots and storages are only available to customers who purchased property in the building.